From its picturesque desert landscapes to its long, sun-soaked days, Arizona breathes of romance. 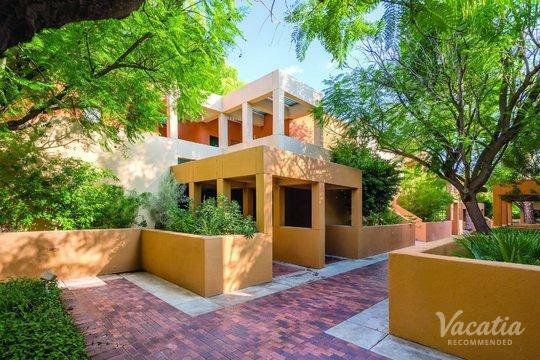 So if you're looking to plan a romantic getaway with your significant other, consider the beautiful areas of Phoenix and Scottsdale. These two popular Arizona destinations are located in what has been nicknamed "The Valley of the Sun," and you're sure to soak up plenty of sunshine during your stay. Both Phoenix and Scottsdale boast plenty to do and see, from outdoor activities and sports to world-class spas and great dining. 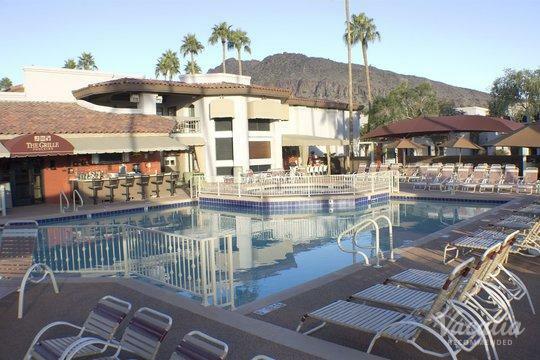 You could book your stay at one of the best romantic resorts in Phoenix when you work with Vacatia, which strives to provide travelers with top-tier vacation rentals. Vacatia's attentive Guest Care team is always available to answer any questions or address any concerns you may have, so you can rest assured that you're in good hands when you book your Arizona accommodations through Vacatia. 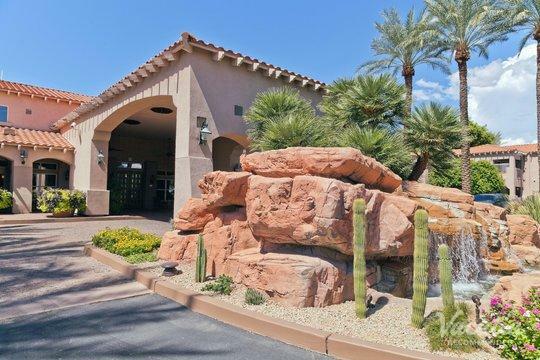 Whether you are looking to book your stay at one of the best romantic resorts in Scottsdale or in Phoenix, Vacatia can help you quickly and easily find your dream romantic vacation rental in this sun-kissed paradise. Home to lively, charming towns and breathtaking mountain trails, Phoenix and Scottsdale provide visitors with endless opportunities for exploration. In addition to its abundance of outdoor activities, Phoenix and Scottsdale are known for their great dining, shopping, and nightlife. No matter what you want to see or do during your romantic Arizona getaway, you should work with Vacatia to find your perfect vacation rental. 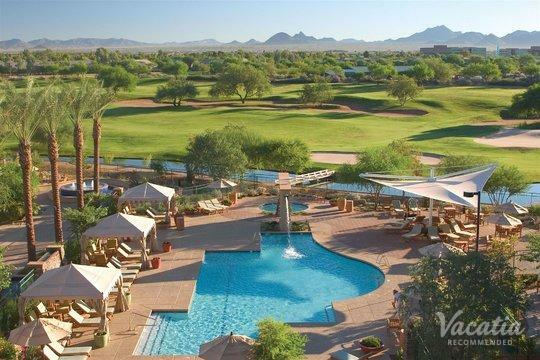 Rather than book your stay at one of the many romantic hotels in Phoenix & Scottsdale, you could book your stay at one of Vacatia's premier resort residences. Vacatia's unique rental properties provide so much more than a standard hotel, as they include added living areas, like a fully equipped kitchen, in addition to the desirable services of a resort. So you can soak up the romance and the luxury of a top resort while also enjoying the home comforts of your quality vacation rental. 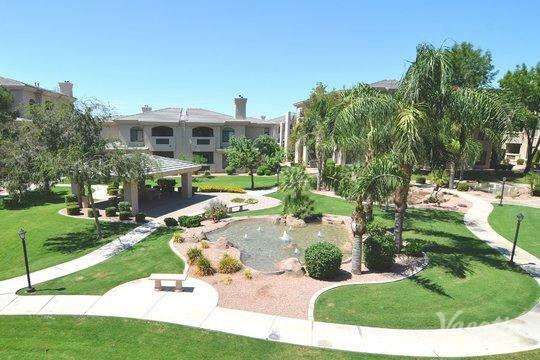 Let Vacatia help you make the most of your time in Phoenix or Scottsdale so that you can indulge in the limitless romance of Arizona. 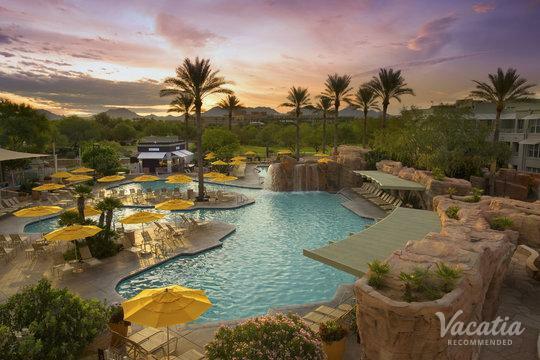 Located in Arizona's "Valley of the Sun," Phoenix and Scottsdale are best known for their consistently sunny weather. In fact, Phoenix and Scottsdale boast over 325 days of sunshine per year, which makes them perfect destinations for those seeking some outdoor fun. 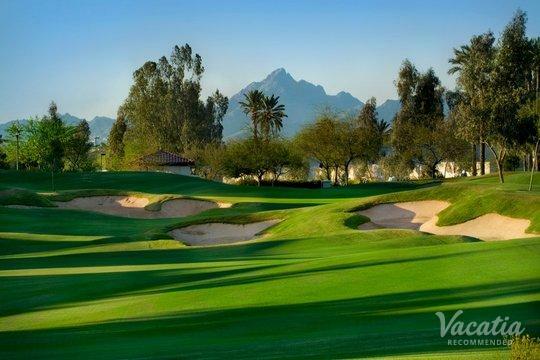 Whether you want to partake in sports like tennis and golf or you want to experience the beautiful natural surroundings through hikes and mountain biking, there is definitely something that will excite you in Arizona. Due to its idyllic weather and abundance of activities, Arizona is a popular destination for romantic escapes. So whether you are planning a weekend getaway or a two-week sun-filled vacation with your significant other, you should rely on Vacatia to elevate the romance of your stay by finding you the most romantic resort in the area.